You are here: Start - Contact - Why choose Lesjöfors? As producer of the Worlds largest range of automotive suspension springs, Lesjöfors are the only European full range coil spring supplier to manufacture all their own products. Continuous in-house control of product and range development, with production and quality certified to TS16949, ISO9001 and ISO14001. Distribution centres in Sweden, Germany, the UK and Russia, with a coil spring stock of well over a million units - ensuring excellent availability and short lead times. Electronic catalogue and trading solutions to suit our customers needs. It's not by chance that Europe's leading spare parts distributors choose Lesjöfors as their supplier partner for the complete spring package. 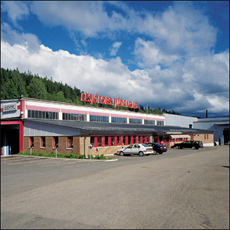 Lesjöfors - market leaders in the European IAM. Sales of approximately €200 Million. Spring manufacturing since 1852. 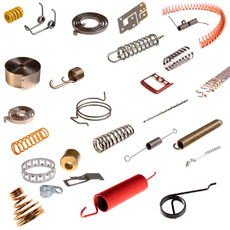 Totally specialised on springs and pressings. Worldwide producer - 22 factories in 10 countries, plus 6 sales companies. Owned by Beijer Alma AB, listed on Swedish Stock exchange. A strong partner. Triple A rated. Continuously investing in new and efficient manufacturing processes. Investments during 2014 amounted to c5% of revenue. Worldwide customer base covering all industrial sectors. A selection of Lesjöfors group customers can be seen below.